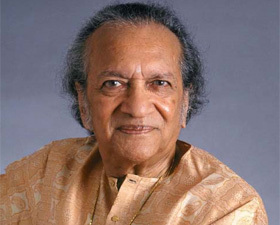 New Delhi: Legendary musician, Pandit Ravi Shankar passed in San Diego on Tuesday. He was 92. The musician was admitted to the Scripps Memorial Hospital in La Jolla last Thursday after he complained of breathing difficulties. He breathed his last at 4.30 p.m. The sitar exponent, perhaps could be called India`s musical ambassador and was responsible for making Indian classical music popular in the West. He had collaborated with several international artists including George Harrison of ‘The Beatles’ which had garnered him fame and adulation all over the world. Last week, the maestro had wished to speak to superstar Amitabh Bachchan. The actor on his blog had written, " Strangely, and for the first time, I had a call from the house of the great sitar maestro Pandit Ravi Shankar. His wife Sukanya ji wanted to talk to me to get me to talk to Ravi Shankar ji, because he had expressed a desire to speak with me. He has been unwell she informed me and was going in for a surgery on Thursday. They are in California, USA." "This has been a most unusual occurrence. We all know Pt Ravi Shankar, who doesn`t? But I must admit that even though we have met on a few occasions, his association with my Father, our association with his elder brother the great dance exponent Uday Shankar, my own association with his son and daughter in law, and with Uday Shankar ji`s actress daughter... This has been the first time ever, when such a request was made to me," the actor had written. Panditji is survived by his wife Sukanya and musician daughters, sitar player Anushka Shankar and singer Norah Jones.